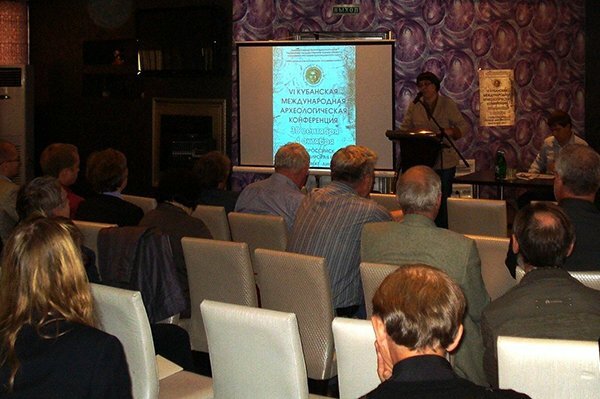 Between September 30 and October 4, we organized and held the VI Kuban international Archaeological Conference. Over 165 scientists from Russia, Ukraine, Abkhazia, Georgia, Kazakhstan, Germany, Greece, and the UK gathered in the village of Shirokaya Balka, Novorossiysk, to highlight the finds of the past years and to consider the issue of state protection of archaeological heritage. We were responsible for the conduction of the event: our staff provided high-quality technical equipment; organized accommodation, meals and transportation to participants; provided information support of the event and supplied printed products.